I love to make Christmas cards. I’ve been making my own for years and in recent years Doodles and Oodles have loved to help out. I also love printmaking and if your kiddies are anything like my two then they will absolutely love potato printing – simple, cheap and really effective (a little bit messy!!!). black marker – we used our trusted Sharpies! 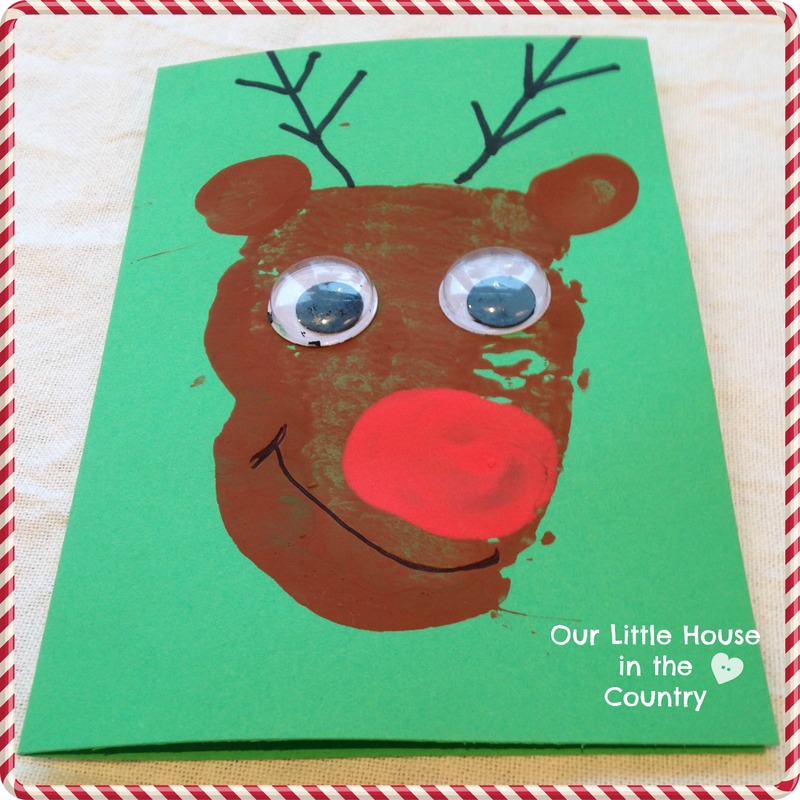 make a thumb print on the brown potato print for Rudolph’s nose. We were thrilled with how these turned out, we then went on to make wrapping paper using the same technique which you can see here, in our Rudolph wrapping paper post! 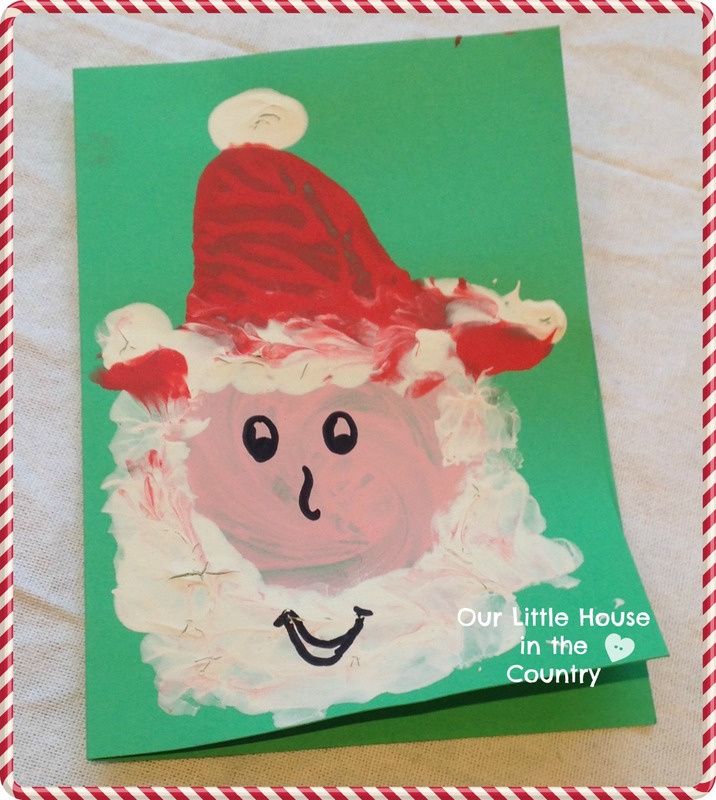 Potato prints are so versatile, so many possibilities for Christmas cards, why not try snowmen or angels or these Santas that we had fun with? We also made Christmas Tree cards using potatoes although these involved a little more cutting and shaping of the potatoes. We love to see what are readers are making, please feel free to share photos of your own projects or projects of ours you have tried on our Facebook page or tag us in your photo on Instagram. If you are a regular visitor to our little blog then you will know that I am slightly addicted to Pinterest. I have a lot of festive boards from Christmas cards to Decor for Our Little House to Festive Entertaining to Homemade gifts and decorations. 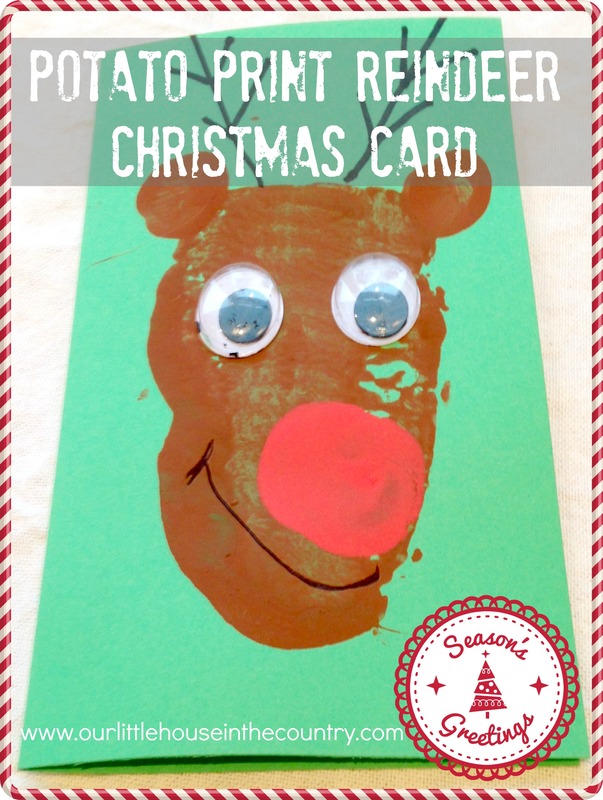 Here is one with lots more ideas for Christmas Cards for Kids to Make. Thanks Sara, potato prints are so much fun arent they? We have a few more potato print activites coming up!